Since you have about five million hair follicles on your body, it’s quite likely that you’ll have loads of hairs. And, if you have hairs, you’ll have to deal with ingrown hairs sooner or later. Ingrown hairs, or razor bumps as they’re often called, are quite inevitable. That is unless you decide to let your hairs grow to their full glory and turn into a hybrid of Rapunzel and Dumbledore. At best, you can expect ingrown hairs to affect your appearance. However, at their worst, they could cause serious infections. While there will always be the odd hair that decides to rebel against the natural flow of things, it is still possible to reduce the frequency and number of ingrown hairs. All you need to do is know what they are, how they’re caused, and how you can prevent them. Here, we will share all that information with you. The following is a quick-click navigation panel that you can use to figure out ingrown hairs at your own pace. What Do Ingrown Hairs Look and Feel Like? How to Treat Ingrown Hairs? Ingrown hairs almost always look like little pimples, regardless of where they occur on the body. You could see a single large red bump or a cluster of little red bumps on the surface of the skin. These little red bumps, also known as papules, can be quite annoying because they cause a lot of irritation and itchiness. Sometimes, these ingrown hair bumps can turn into something similar to a boil. It is even possible for them to be filled with puss, in which case they become pustules. When this happens, ingrown hairs can quickly go from being itchy to being painful. When ingrown hairs don’t get resolved over an extended period of time, they often cause the surrounding skin to darken. Therefore, ingrown hairs can also cause hyper pigmentation. They’re called ingrown hairs for a reason. They occur when a hair strand either fails to exit the skin and grows within it or exits the skin only to turn around and burrow back into it again. Anybody and everybody can get ingrown hairs, but they tend to be more common in people with coarse or curly hair. Curly and coarse-haired people are more susceptible to ingrown hairs because the shape of their hairs can keep them from growing perpendicularly to the skin. However, this doesn’t mean that fine, thin, and straight-haired people can’t get ingrown hairs. Such people get ingrown hairs when one or more of their hair follicles are displaced under the skin. When this happens, the hair strand grown by these follicles could grow in weird directions causing ingrown hairs. Any number of things we do to ourselves can result in the hair follicles being disturbed. As mentioned above, ingrown hairs can show up in people with very curly or very coarse hairs. Further, people with more hairs are also likely to get ingrown hairs more common. Since hair growth is closely related to testosterone, it can be said that excess testosterone can increase the chances of ingrown hairs. Even so, it is very rare for ingrown hairs to appear without any incitement. As you may already know, ingrown hairs are most common after shaving, waxing, and epilating. Most people get ingrown hairs immediately or a few hours after using some hair removal technique. As a result, ingrown hairs are most common on the face for men and the rest of the body for women. The reason why shaving, waxing, and epilating can encourage ingrown hairs is that they affect the natural direction in which your hairs grow. For example, when you wax or epilate, you’re trying to pull out the hair along with the follicle. These hair removal processes aren’t 100 percent accurate and can leave the hair follicle inside the skin, albeit displaced. When this hair follicle regrows its hair, the growth will be in a particular direction inside the skin instead away from it. In terms of shaving, the cause of ingrown hairs is slightly different. Even in shaving, the hair follicle can get disturbed, but the real problem is that the hair is cut close to the surface of the skin. Further, the cut hair has a sharp end that makes easier for it to burrow back into the skin. Clogged hair follicles can also end up causing ingrown hairs. The reason is obvious: if the hair is blocked off from growing vertically, it grows sideways. Therefore, if the hair is growing sideways instead of vertically out of the skin, it will start causing problems. Another very common reason for ingrown hairs is tight clothing. People who wear tight clothes complain of ingrown hairs often because their clothes prevent hairs from growing away from the skin. Instead, the tighter clothes keep the hair close to the skin which makes it easier for them to burrow back in. The easiest way to prevent ingrown hairs is to let the hairs grow out. Even ingrown hairs, when allowed to grow out, end up coming out of the skin. The problem will resolve itself if you just let all the hairs grow out freely. This means no shaving, no waxing, no tweezing, and no epilating. However, this isn’t something you can do in the modern environment. Our bosses, our significant others, and even our parents expect smooth skin. Men are expected to keep their beards and mustaches in check while women are expected to have clean legs and arms. Even though not removing your hairs may be the best way to avoid ingrown hairs, we understand that that isn’t really a viable solution for you. Fortunately, there are things you can do short of becoming hirsute that can prevent ingrown hairs. While you can never eradicate the problem, these prevention tips should help you reduce the number of ingrown hairs significantly. Since you can’t let your hairs grow freely, your best option is to find hair removal techniques that don’t cause ingrown hairs. There are two – electrolysis and laser hair removal. In electrolysis, current is directed straight into your hair follicles. This current causes chemical or temperature imbalance in the follicle. The imbalance either results in the follicle dying out or it stunts its growth, making it unable to produce hair. Laser hair removal and its cousin Intense Pulsed Light (IPL) both make use of light to generate heat in the hair shaft and its follicle. The heat burns away the hair and either destroys or damages the follicle enough that it cannot grow more hair. Both electrolysis and laser/IPL techniques are mainly offered professionally and can cost thousands of dollars, especially since multiple sessions are required to get the desired results. Laser and IPL technologies, however, have been modified to be fit for home use. Devices freely available in the market will allow you to treat yourself from the comfort of your home. At-home laser or IPL hair removal devices tend to be significantly cheaper than professional electrolysis or laser/IPL services. As a result, it may be wiser to try these home devices before resorting to incredibly expensive professional services. 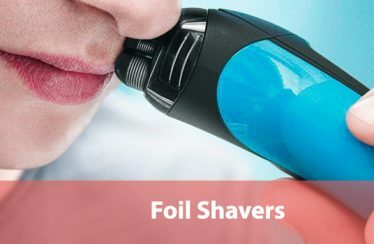 Needless to say, whether you utilize home devices or get professional treatment, these permanent hair removal techniques never cause ingrown hairs. It is possible to get rid of your hairs chemically also. There are hair removal creams available in the market that contain certain chemicals for dissolving the hair shaft. These creams weaken the structural integrity of individual hair shafts, causing them to fall out of the follicle. While effective, the problem with chemical hair removal is that it can end up causing breakouts and allergic reactions. This is especially true for people with sensitive skin. The inflammation caused by such creams is common enough that experts recommend patch testing them before using them fully. Not everyone can give up on shaving, waxing, or epilation. However, one thing everyone can dois reduce the number of times they shave, wax, and epilate, regardless of their specific circumstances. This will automatically reduce the number of ingrown hairs they get. There are two reasons for this. Firstly, if you don’t shave, wax, or epilate often then the chances of your hair follicles getting disturbed go down. This minimizes the risk of angled hair growth under the surface of the skin caused by disturbed follicles. Further, it is a well-known fact that long hairs don’t grow inwards. Therefore, by not keeping the hair cut close to the surface of the skin, you’re minimizing the chances of ingrown hairs. Even if you reduce the number of times you shave, wax, or epilate, you can still get ingrown hairs. However, you can minimize the chances of getting ingrown hairs even further by exfoliating regularly. Regular exfoliation is known to counter ingrown hairs directly. By exfoliating, you’re removing dead skin cells from the surface of your skin. This serves two purposes. The first is that you’re preventing your hair follicles from getting clogged which would force the hairs to grow sideways. The second is that the exfoliation motion creates enough movement under the skin for any wayward hair growth to be naturally rectified. To exfoliate, you’ll need an exfoliating agent and a scrub. You can choose to buy these items or make your own. Exfoliating agents need to be textured, which is why salt and sugar are so popular when it comes to DIY exfoliation agents. One thing you need to make sure is that you exfoliate regularly. This means making it a part of daily routine. You should also make sure to exfoliate before and after you’ve waxed, shaved, or epilated. Removing dead skin cells and dust from your follicles is easier when your skin is relaxed. In order to relax your skin, you need to give it warmth and moisture. The best way to do this is to take a warm shower. Warm water and warm steam will soften your skin and help it relax. As a result, the pores in your skin will loosen up, before you shave, wax, or epilate. It is easier to unclog relaxed pores which is why exfoliation should always be combined with warmth. While a warm shower is the best way to help your skin relax, you can achieve the same results with a warm compress. For instance, if you’re short on time, you can simply apply a warm compress to the area you plan to remove hairs from. In addition to making exfoliation more effective, applying warmth and moisture to your skin will also result in hairs being pushed out of the surface as their respective follicles will unclench. Since the hairs are pushed out, it is easier for a razor to cut them, a waxing strip to remove them, and an epilator to pull them out. Longer hairs are desirable in waxing. The longer your hairs are, the easier it will be for the wax and the waxing strip to catch them. However, the same is not true for shaving and epilating. If you prefer shaving or epilation over waxing, then you need to start trimming your hairs before using the razor or the epilator. If you try to shave or epilate longer hairs, you run the risk of more ingrown hairs than normal. Longer hairs get caught between the blades of a razor and get pulled when they should be cut. This causes the position of the follicles to get disturbed, resulting in ingrown hairs. The situation is similar with epilators. Epilators are designed for shorter hairs. In fact, the majority of them even recommend shaving a day or two before epilation because of this reason. If you try to use an epilator on longer hair shafts, the hair shafts are only pulled partially before breaking. As a result, the follicles get displaced under the skin. When these follicles start growing hairs again, their direction is off. Believe it or not, the tools you use to remove hair will play a huge role in whether you get ingrown hairs or not. 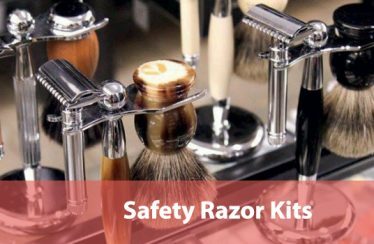 When it comes to the equipment you use to shave and epilate, there are three variables. The first is the actual equipment, i.e. razors and epilators. It is a well-established fact that single blade or safety razors don’t cause ingrown hairs because there is no way that they can pull hairs. Multiple-blade razors, on the other hand, can catch hairs between those blades. This will result in the hairs being pulled instead of being cut. Epilators generally tend to cause ingrown hairs. The way they work,i.e. pulling hairs along with their roots, automatically causes the follicles to be displaced under the skin. This is why many epilators specifically incorporate technologies designed specifically to prevent ingrown hairs from happening. Therefore, when it comes to epilators, designs matter. If you go through reviews from experts and actual users, you’ll find that epilators with specialized technologies don’t cause ingrown hairs as much as other epilators. As is obvious, buying higher end epilators with such modern technologies will help you prevent ingrown hairs, especially if you follow other prevention tips as well. The second variable is what you use along with those hair removal tools. If you shave without shaving cream, gel, or foam, then you increase the possibility of ingrown hairs manifold. A shaving foam or cream that can lubricate well is critical when shaving your face. When shaving other body parts like limbs and torso, you should look to find a gel that can lubricate well. When it comes to epilation, you’ll have the option to choose from wet-use and dry-use epilators. Wet-use epilators are preferable over dry-use epilators, even though they tend to be more expensive. With wet-use epilators, you’ll be able to use water to lubricate the skin. 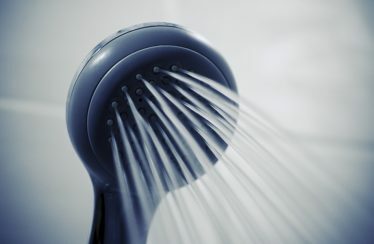 If you use warm water, this will allow your skin to relax and the pores to loosen up. This will not only reduce the chances of ingrown hairs but also make epilation less painful and more efficient. The third variable is the maintenance of the tools you’re using. If the blade on your razor isn’t sharp, then it will be unable to cut the hair shaft and will instead disturb the hair follicle. Therefore, changing cartridges and blades regularly is one of the easiest ways of reducing ingrown hairs. An extension of this principle is the cleanliness of the blade. Since grime and dirt on the blade will affect its sharpness, keeping it clean will help reduce ingrown hairs. This is why you should rinse the razor after every stroke while shaving. Sharpness is immaterial when it comes to epilators. Cleanliness isn’t. If previously pulled hairs or grime block the tweezers on the epilator, then they won’t be able to catch and pull new hairs properly, leaving the follicle under the skin but disturbed. This is why it is important to clean epilator heads regularly and choose epilators whose heads are easier to clean. The direction in which you shave and epilate also determine how prone you’re to ingrown hairs. Interestingly, the right directions for shaving and epilating are opposite. While shaving, you should always run the razor with the grain, i.e. the direction in which your hairs are growing. 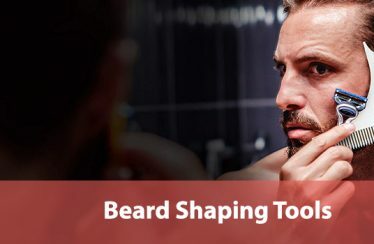 Shaving against the grain causes two problems – it leaves the cut hair very sharp and it increases the chances of the hair being pulled instead of being cut. If shaving with the grain isn’t enough, you can, at most, try shaving across the grain. Whatever you do, never shave against the grain as that increases the chances of ingrown hairs. In contrast, when you epilate, you have to epilate against the grain. In fact, it is recommended that you run your hands against the grain before using the epilator. This will lift the hair shafts and make it easy for the tweezers in the epilator to catch them. There’s no point in epilating with the grain. You’ll never get the results you desire. However, while doing your underarms and the bikini region, you will have to use the epilator in all directions to get all the hairs. After all, hairs in those regions don’t grow in any particular direction. While pulling the skin taut is recommended in shaving, epilation, and waxing alike, pulling the skin is different from stretching it. When you pull the skin taut, you make the hairs stand up andthey become more accessible to whatever equipment you’re using. However, when you stretch the skin, you may cause certain follicles and hair shafts to recede into the skin. It is a minor difference, but one that can lead to ingrown hairs. It is even possible that after you’ve stretched your skin that the receded follicle and hair don’t return to their starting position. This is why you need to be careful how strongly you pull your skin while seeking that tautness. This tip isn’t relevant to any hair removal technique other than shaving. 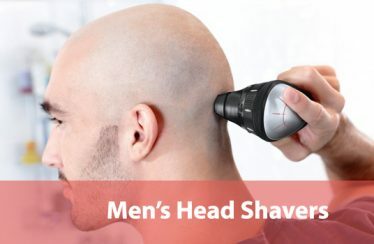 Moreover, this tip is the most suited to men since leaving behind a stubble on the legs or bikini region isn’t ideal for the ladies. Since cutting hairs too close to the skin can result in ingrown hairs, a simple solution will be to leave behind a 5’o clock shadow. To do this, you’ll have to give up razors though. By using electric razors, you can avoid the problem of ingrown hairs almost completely. Only the cheapest electric razors will cause ingrown hairs. Therefore, if you get a good one, you can maintain facial hairs and still avoid ingrown hairs. Whether you’ve just shaved, waxed, or epilated, it is important for you to close the pores in your skin. When you took a warm shower or applied a warm compress on your skin, you opened those pores up to make the hairs easily accessible to your equipment. Now, you need to help them close or they’ll become clogged with dust, grime, and grease. If they recede while being clogged, the hairs they generate will start growing sideways and end up as ingrown hairs. Closing the pores is simple. All you need to do is run cool water or ice over the skin. If you shave, then the aftershave lotion does that for you. If you wax or epilate, then we suggest using an icepack or even an ice cube. In addition to reducing the chances of ingrown hairs, cooling your skin will also soothe your skin and neutralize irritation and inflammation. You can find products in the market designed specifically to prevent ingrown hairs. In the majority of cases, these products are moisturizers that contain glycolic acid, salicylic acid, or even both. Glycolic and salicylic acids are chemical exfoliants. They can strip away dead skin cells from the surface of the skin, preventing them from clogging your pores. Most of these products are designed to be used after shaving, waxing, and epilation because pores are most susceptible to getting clogged at that time. Further, since these products moisturize the skin too, they’re a win-win in every way. As tight clothes can cause ingrown hairs too, we recommend avoiding them and letting your skin breathe. This will not only help you avoid ingrown hairs but will also lead to healthier, shinier, and more vibrant skin. Besides, tight clothes can get uncomfortable very fast even if you’re used to them. Therefore, you’ll be comfortable as you try to prevent ingrown hairs. Everyone gets ingrown hairs at some point in their lives and if you haven’t till now, you can consider yourself very lucky. It is even possible that you get ingrown hairs despite following all the prevention tips. So, what can you do when you get an ingrown hair? Here are some treatment suggestions. The problem of ingrown hairs will almost always resolve itself. As the ingrown hair continues to grow, its weight will push it out of the skin. Further, the skin itself will work to push the hair out. However, to wait for an ingrown hair to resolve itself means tolerating all the irritation and itchiness. If the ingrown hair isn’t irritating you, then you should leave it alone,but if it is, then you can use a pair of tweezers to pull it out. Here are the steps. Take a warm shower or apply a hot compress to the ingrown hair. If you use a circular motion to massage the ingrown hair simultaneously, it may come out at this stage itself. Get a pair of sterilized tweezers and grab the hair at the loop. While gripping the loop, gently twist the hair side to side. The ingrown hair should come out at this point. If the ingrown hair doesn’t pop out by twisting, you can try to pull it out gently with the tweezer. Remember to focus the pull at the end other than the root of the hair. After the tip of the hair has come out, you can either leave the hair there or pluck it out completely with your tweezers. Whether you pluck the hair out or not, you need to wash the area with soap and warm water. Dry the spot after and make sure to moisturize it as well. Glycolic and salicylic acids are chemical exfoliants that can help prevent ingrown hairs, but they cannot be used to treat ingrown hairs. They have the potential to irritate the area and even aggravate the inflammation further. Retinoids, on the other hand, can be used to treat ingrown hairs. Retinoids are very strong chemical exfoliants, not unlike glycolic acid and salicylic acid. Retinoids can be used to treat ingrown hairs because you can’t get them without a prescription from a medical practitioner. Retinoids are very good at speeding up exfoliation. Additionally, they can also reduce hyper pigmentation which often accompanies ingrown hairs. Incidentally, retinoids dry the skin making it easier for the ingrown hair to escape. Benzoyl Peroxide is usually used to treat acne because it is an anti-infection agent. It also draws away moisture from the skin. This makes the skin dry up and start peeling off. Since drier skin isn’t as strong as moisturized skin, a benzoyl peroxide cream can help ingrown hairs exit the skin. Further, since it is an anti-infection agent, it can prevent ingrown hairs from getting infected. Even though benzoyl peroxide can be useful against ingrown hairs, it doesn’t work for every ingrown hair. Tea tree oil works in the same way as benzoyl peroxide. It counters any infection and inflammation in the region and dries up the skin. Removing infection soothes the irritation while the drying skin pushes the ingrown hair out. However, tea tree oil is so strong that it needs to be diluted before being used. You can mix tea tree oil with water in a 1:1 ratio and apply it to the ingrown hair with a cotton ball. Circular motions will also help the ingrown hair move out of the skin. Baking soda is a natural exfoliant and it can also reduce inflammation. It is used in the same way as tea tree oil. Combine about a single tablespoon of baking soda with approximately a cup of water, before applying the mix to the ingrown hair. Rub it in with circular motions to help the ingrown hair escape the skin. You can also use a steroid cream to deal with ingrown hairs. Steroids can reduce swelling, redness, and inflammation in the ingrown hair. Steroid creams that are available over the counter are less concentrated and safe for use at home. Sometimes, dermatologists also prescribe steroid creams for ingrown hairs. However, the creams they prescribe are much stronger than OTC creams. Ingrown hairs are not dangerous unless they get infected and turn into pustules. Even pustules are only slightly dangerous. The danger becomes serious when the pustules turn into ingrown hair cysts. Ingrown hairs turn into pustules only when they get infected. This kind of infection is usually caused by mistreatment. If you try to squeeze, pick, or scratch the ingrown hair regularly, then it could turn into a pustule and even an ingrown hair cyst. Ingrown hair cysts, usually, appear as a swollen, red area at the site of the ingrown hair. The cyst can be small, large, hard, or soft. It is usually very itchy and quite tender to touch. Ingrown hair cysts are like ingrown hairs in that they fade away independently unless aggravated. However, they’re dangerous because their inherent infection can travel to other parts of the body. If a fever accompanies the ingrown hair cyst, then that is a sign that the problem is very serious and dangerous. If the infection in the cyst is serious enough, your doctor may prescribe you either an oral or a topical antibiotic.